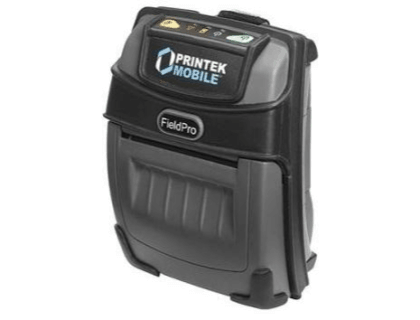 Learn about the Printek 93184 FieldPro 530 Wi-Fi Version Label Printer w/o Battery. Includes pricing, features, and FAQs. The Printek 93184 FieldPro 530 Wi-Fi Version Label Printer w/o Battery is a label printer that allows you to print PDF, Postscript, and other graphic files directly from a computer or mobile device. IP54 rated for water and dust resistance. Pros: Lightweight, fast printing, web-based setup, multiple fonts. Cons: Prints in black only. Bottomline: Light and durable label printer for creating receipts and labels quickly and easily. 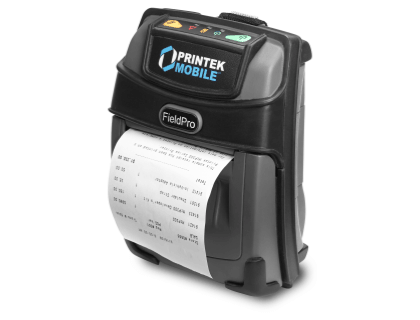 The Printek 93184 FieldPro 530 Wi-Fi Version Label Printer retails for $765.00. Is the Printek 93184 FieldPro 530 Wi-Fi Version Label Printer compatible with all operating system? Yes, the Printek 93184 FieldPro 530 Wi-Fi Version Label Printer is compatible with Windows, Windows Mobile, Apple iOS, and Android. Where can I buy the Printek 93184 FieldPro 530 Wi-Fi Version Label Printer? You can buy the Printek 93184 FieldPro 530 Wi-Fi Version Label Printer w/o Battery by clicking on the link above, or from sites like Megadepot and Amazon. What are some Printek 93184 FieldPro 530 Wi-Fi Version Label Printer alternatives? Brady BBP®33 Label Printer Kit for Slide Labels. Doran 63OPT23 Thermal Label Printer (Non Washdown) and Printer Cable. Brady BMP®21-LAB Portable Label Printer. Printek 93182 FieldPro 530 Label Printer w/o Battery.